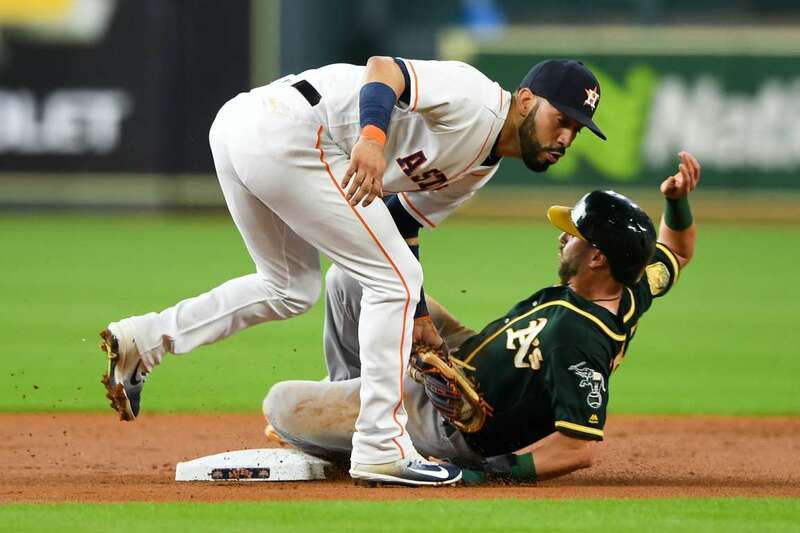 The Athletics' Dustin Fowler collides with Astros' Marwin Gonzalez during a game on Tuesday in Houston, TX. The Astros won 6-5. France's Samuel Umtiti celebrates past Belgium's Romelu Lukaku at the end of the semifinal on Tuesday in St. Petersburg, Russia. France won 1-0. 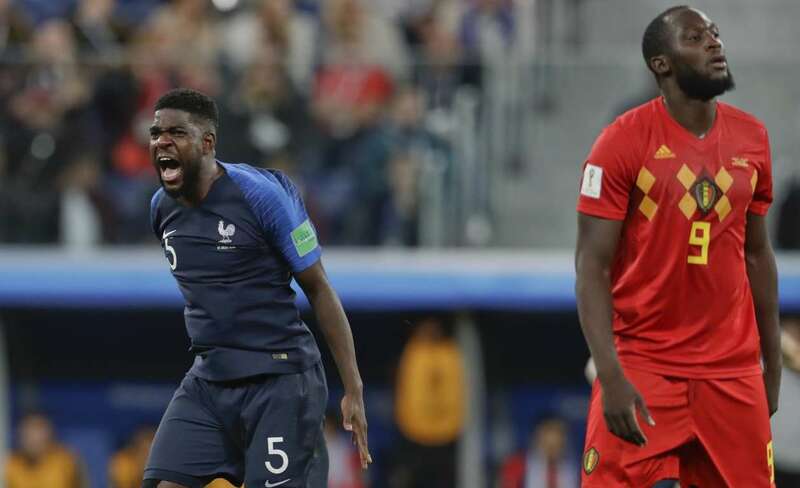 Roar like a tiger France's Samuel Umtiti celebrates past Belgium's Romelu Lukaku at the end of the semifinal on Tuesday in St. Petersburg, Russia. France won 1-0. 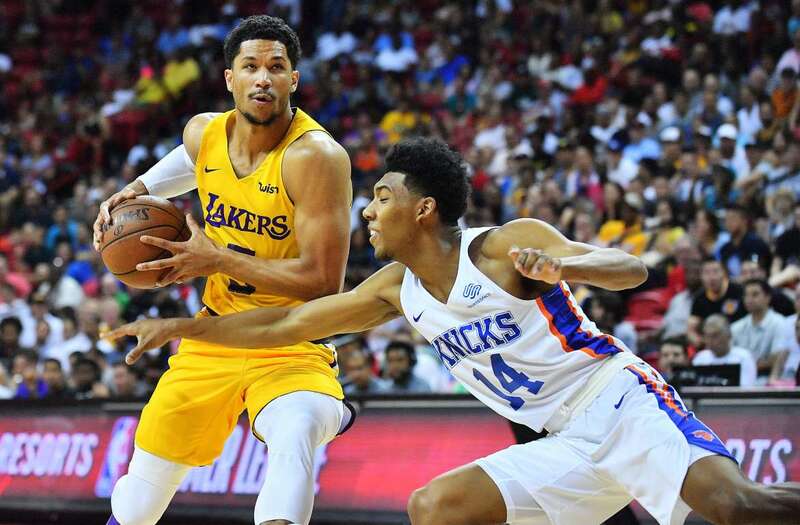 Josh Hart of the Lakers drives against Allonzo Trier of the Knicks during the NBA Summer League on Tuesday, in Las Vegas, NV. Serena Williams bends awkwardly after missing the ball against Camila Giorgi during the Wimbledon Championships on Tuesday in London, England. Serena won 3-6, 6-3, 6-4. 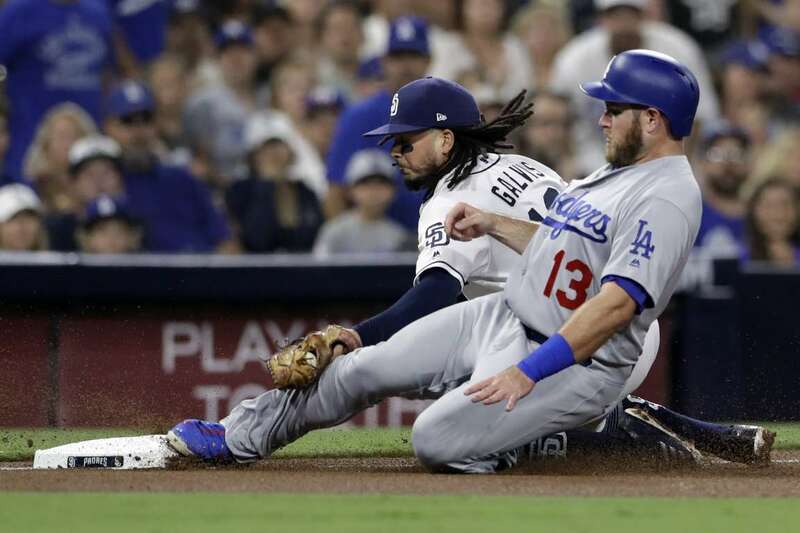 The Dodgers' Max Muncy arrives safely on a double by Cody Bellinger, beating the tag by Padres' shortstop Freddy Galvis during a game on Tuesday, in San Diego. The Padres won 4-1. 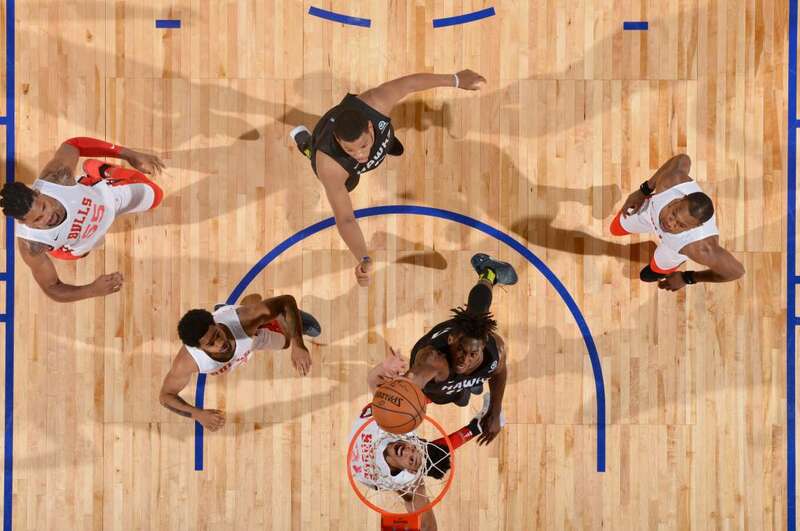 Alpha Kaba of the Hawks goes to the basket against the Bulls during the Las Vegas Summer League on Tuesday in Nevada. 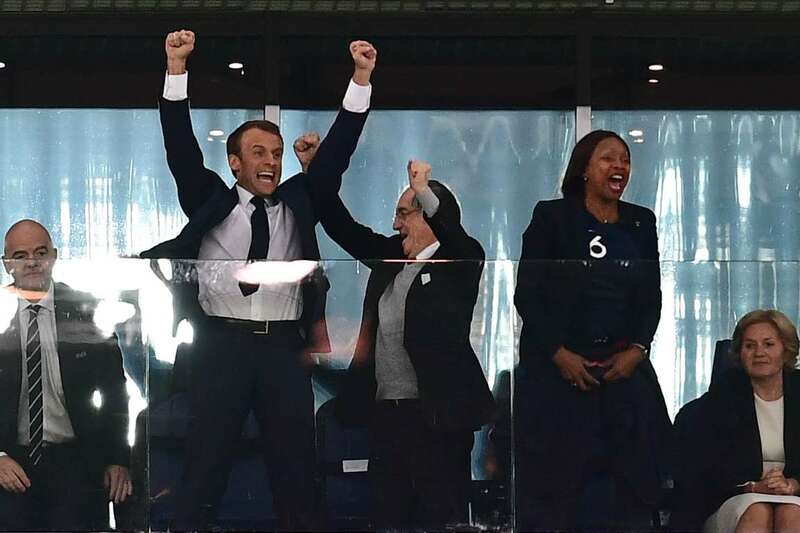 French President Emmanuel Macron, center left, celebrates, alongside French Football Federation (FFF) president Noel Le Graet, center, and French Sports Minister Laura Flessel, right, during the World Cup semi-final match between France and Belgium on Tuesday, in Saint Petersburg. 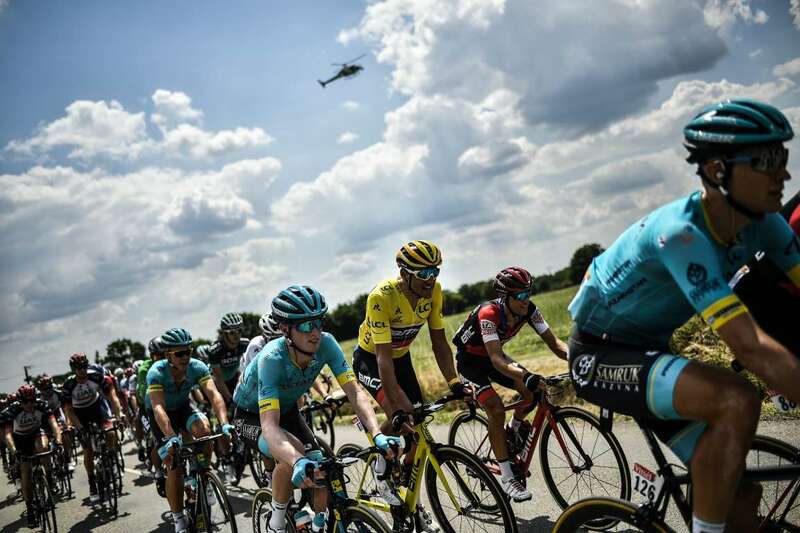 Belgium's Greg Van Avermaet, wearing the overall leader's yellow jersey, center, rides in the pack during the 105th edition of the Tour de France cycling race between La Baule and Sarzeau, on Tuesday in France. 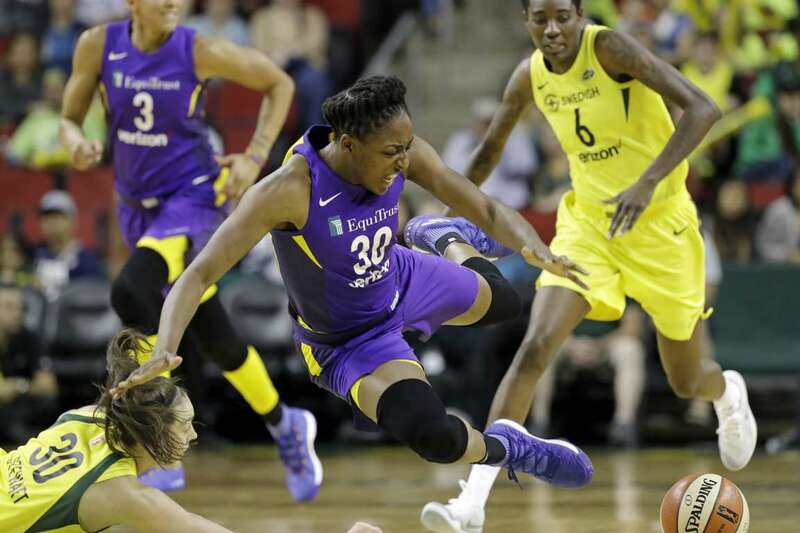 Los Angeles Sparks' Nneka Ogwumike, center, tumbles after being fouled by Seattle Storm's Breanna Stewart, left, on Tuesday in Seattle. Daria Kasatkina plays a shot through her legs against Angelique Kerber during their singles quarter-finals match of the Wimbledon Championships on Tuesday in London. Kerber won 6-3, 7-5. 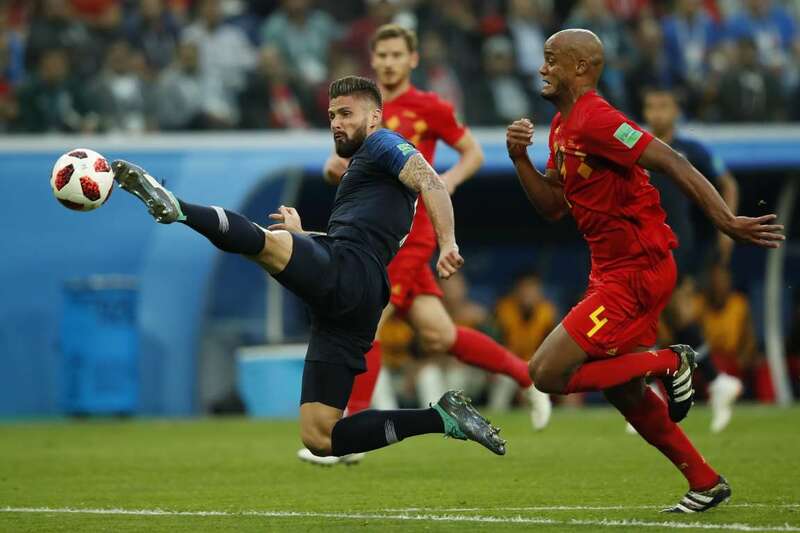 France's Olivier Giroud controls the ball past Belgium's Vincent Kompany during the Russia 2018 World Cup match on Tuesday in Saint Petersburg. France won 1-0. 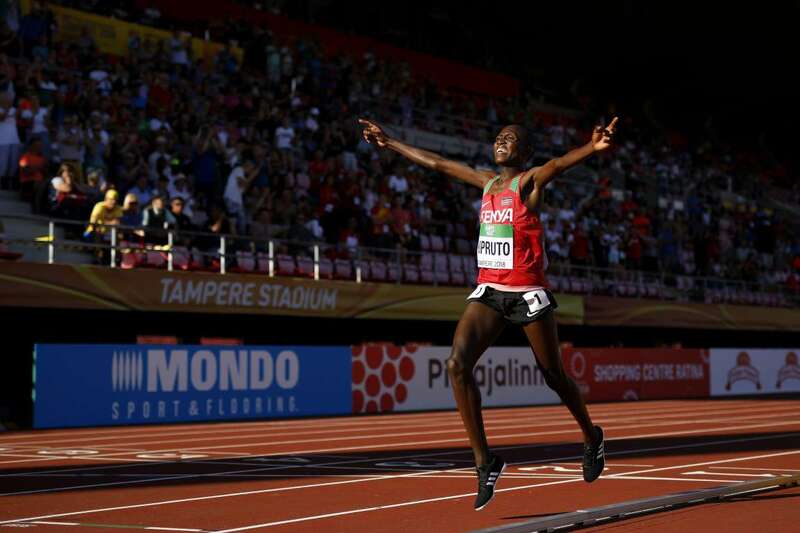 Rhonex Kipruto of Kenya crosses the finish line to win the final of the men's 10,000m of The IAAF World U20 Championships on Tuesday in Tampere, Finland. 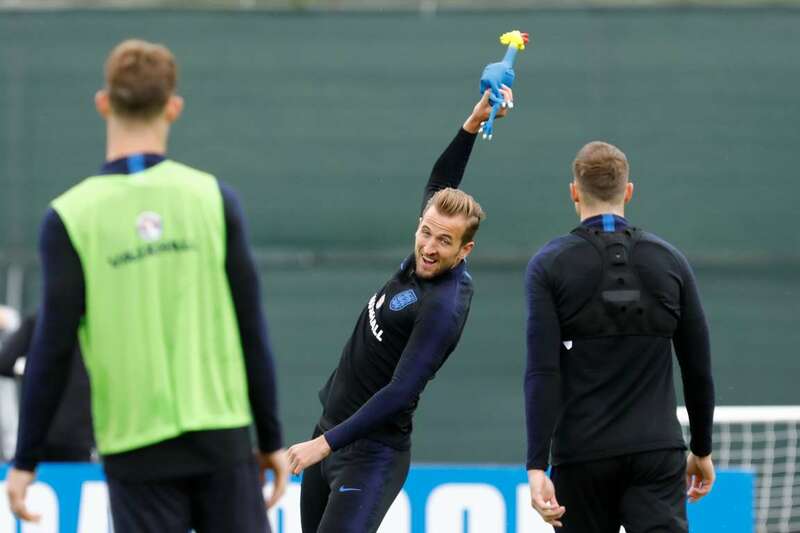 Harry Kane (C) of England national team plays with toy rooster during a training session ahead of the 2018 FIFA World Cup Russia match against Croatia, on Tuesday in Saint Petersburg, Russia. 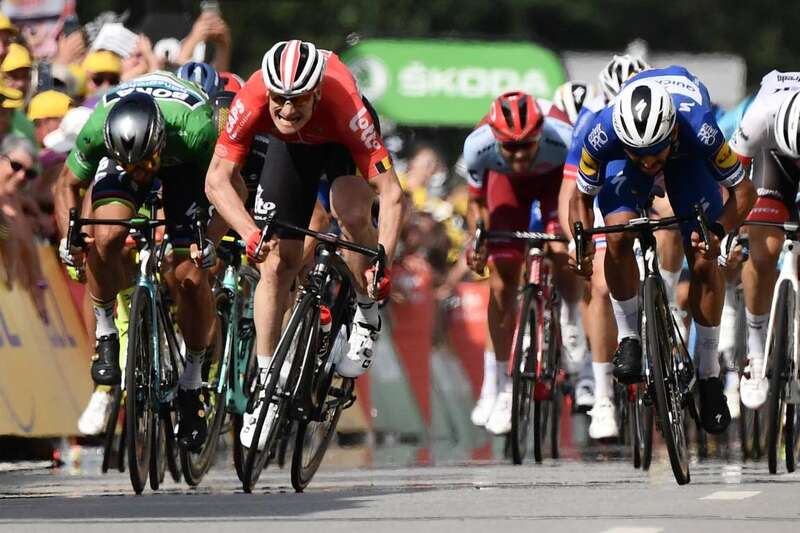 Colombia's Fernando Gaviria, right, sprints to cross the finish line ahead of Slovakia's Peter Sagan, left, and Germany's Andre Greipel to win the Tour de France cycling race on Tuesday between La Baule and Sarzeau, France. 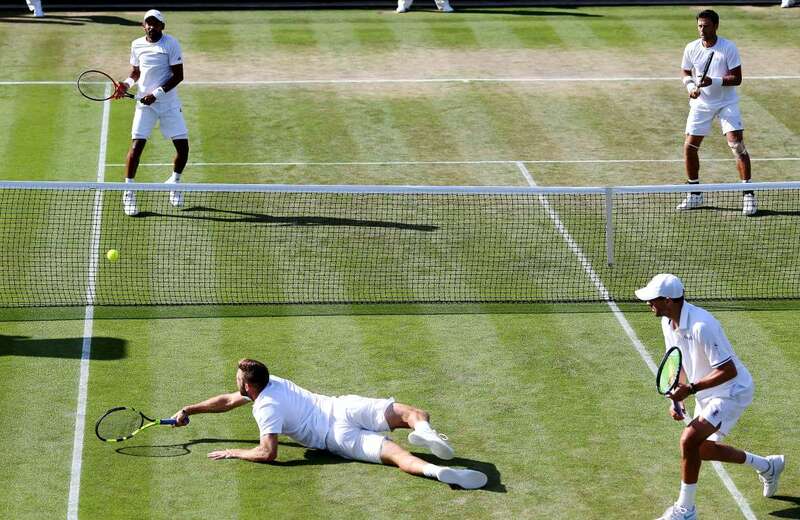 Jack Sock of the US stretches for the ball and slips against Divij Sharan of India and Artem Sitak of New Zealand and partner Mike Bryan look on during their men’s doubles quarter final match at the Wimbledon Championships on Tuesday, in London. 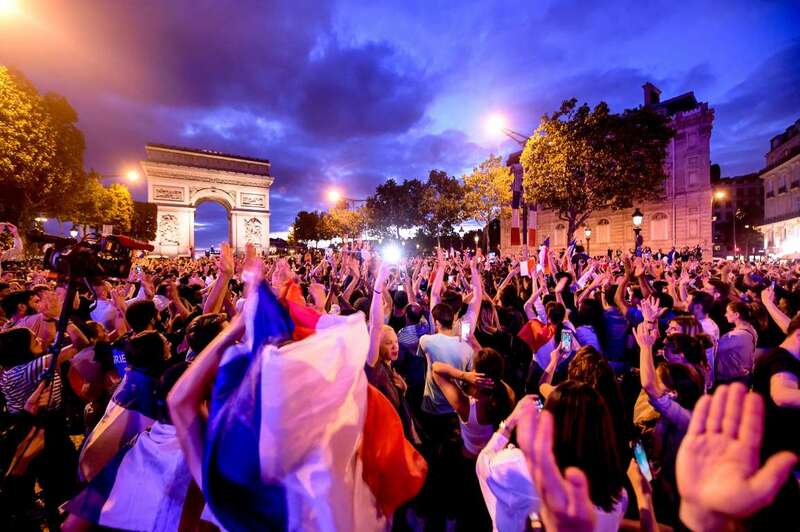 Celebrations on Les Champs Elysees after the victory of France in the Semi final of the FIFA world cup on Tuesday in Paris, France.